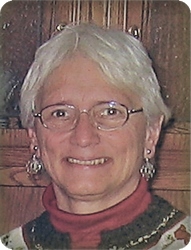 Judith Jonker-Bredeweg, age 70, Faithful Servant, Courageous Defender of Creation and Compassionate Advocate for the down trodden, is at peace with her God. Judy is survived by her loving family including her children, Shaun (Amanda) Bredeweg, Matthew (Jennifer Fitzpatrick) Bredeweg, Ryan (Valerie) Bredeweg, Kristin (Paul) Nienhuis; her grandchildren, Johanna, Alex, Liam, Marcella, Henry, Hazel, Eva, Leonora, Dorothy; sisters, Jan (Jack) Sytsma, Darlene Jonker; and brother, Jerry (Marilyn) Jonker. Her parents, Harold and Betty Jonker, preceded her in death. We love you and forever will miss your passion. The family will greet visitors on Thursday from 4 - 7 pm at Stroo Funeral Home. A memorial service will be held at 11 am on Friday, July 6, at Church of the Servant, 3835 Burton St SE, with Pastor Jack Roeda officiating. Memorial contributions may be made to Pine Rest Patient Assistance Fund or the Blandford Nature Center. I will miss Judy's intelligence, honesty, concern for the environment and faithfulness to several causes. In addition to serving on the Prisoners in Christ committee at Church of the Servant, she often attended and helped out with CONTACT (Celebrating Our Network of Trust, Accountability, Collaboration and Training) support group for people impacted by crime and incarceration.